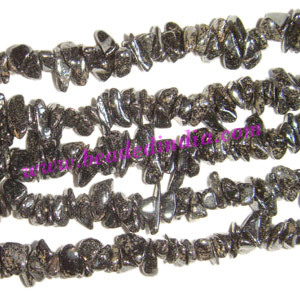 Hematite uncut chips, semi precious chips, gemstone beads chips, string of 36 inches, low price gemstone chips to make low price jewelry. Leather Cords 4.0mm (four mm) round, metallic color - faded pink. Leather Cords 5.0mm (five mm) round, regular color - mehandi.